What are your thoughts on protective vests? I just bought an air vest. They say you are supposed to use traditional vests with the air vests, but some of the vests are incredibly bulky. Suggestions? Recommendations? Thanks for your question about air vests! 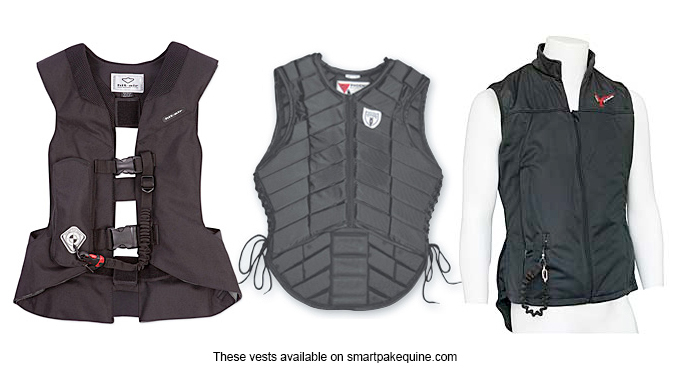 Air vests are a hot topic among eventers and I am a big supporter!! There are two major brands: Hit Air and Point Two. Both brands are incredibly reputable and provide equal safety, in my opinion. There are different models of air vests, some of them are “hybrid” (Tipperary, Charles Owen etc) which combine a standard type hard shell vest and the air vest. The original is just the air vest, which should be worn over a standard hard shell vest. I tend to find that the hybrid feels more bulky, where I hardly notice wearing the original air vest over my Tipperary. I would recommend to try both versions, and also be sure that you have the correct size and fit once you find the version that you are most comfortable in. Lastly, all new things take getting used to, be sure you wear the new vest around and jump in it a few times before you go cross-country. I assure you that the safety that the air vest provides will quickly over-rule the original discomfort! Good luck, and happy eventing!! 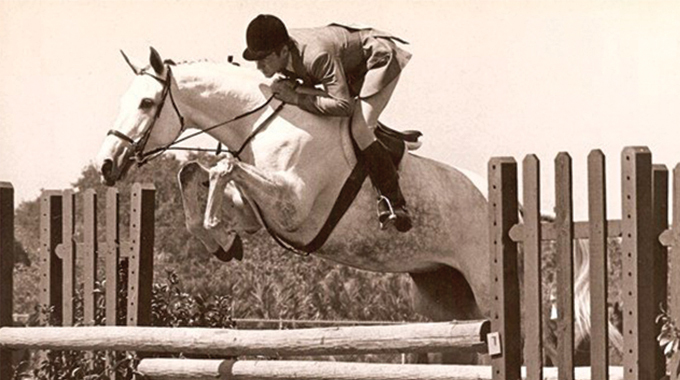 After years of training, riding, and competing all over the world, Olivia decided to bring her knowledge and experience back to the Southern California eventing community. She now runs OKL Eventing. Bringing young horses through the levels and teaching all stages of eventing are Olivia's specialty and primary focus. During her free time Olivia enjoys giving back by contributing to Pony Club and helping to grow the local eventing community. Ultimately, Olivia is working to build up a team of competitive top level event horses to represent the United States in international competition. Over What Height Jump Does a Young Hunter Horse Show Their Form? USEF R rated judge and top trainer Julie Winkel sheds light on what age and what height jump a hunter horse shows their true potential. 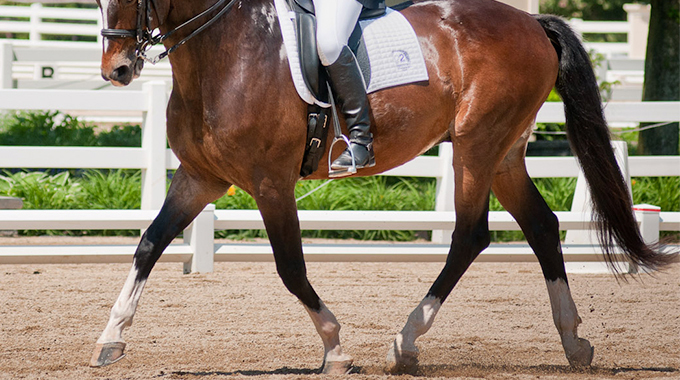 How to determine if your horse has a sore back and treatments to help alleviate the pain.